If you are a Starbucks addict like I am, you know how much that coffee bill adds to every month. The alternative is making coffee at home, which can be a pain to do every morning. And during the hot summer months my cravings shift from hot coffee to cold brew. What if you could make cold brew at home? Well, of course you can! The technique below will not only save you money and a daily trip to the coffee shop, but the result is a delicious iced coffee that rivals what you can get at Starbucks. And even better, a pound of coffee will make two gallons of cold brew, meaning you can get rid of the task of brewing every morning! The first step is to find a coffee you like. My preference is darker, bolder coffees but lighter bodied or richer ones will work as well. I often use Starbucks Italian or Espresso roast. It's a matter of your personal preference. You want a coarse grind on the coffee, just like that used in a traditional coffee brewer or a French press. I prefer to purchase whole beans and grind them at the time I begin making my cold brew, making the coffee more fresh. However, pre-ground is fine, too. 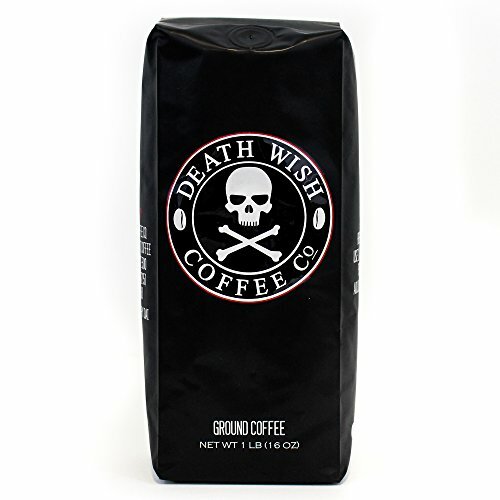 Or you could go crazy and try "Death Wish Coffee", which claims to be the world's strongest with twice the normal amount of caffeine! Dump the grounds into one of the large containers and pour in two gallons of cold water (1 pound of coffee grinds for two gallons of water). If you want to make less, adjust the ratio accordingly. Stir the grounds into the water for about thirty seconds, making sure the grounds are wet and immersed. Cover the container with the grounds and water and let it sit at room temperature for 16 hours (or longer, if you prefer - I believe Starbucks lets it sit for 24 hours). When you feel the coffee has soaked and aged long enough, grab your second large container and begin straining slowly through a fine mesh strainer. If your grind is more coarse, like that of a French press, the strainer itself should be adequate. However, adding cheesecloth or paper towels over the top will help make sure no stray grounds find their way into your cold brew. Once fully strained, take a wooden spoon or similar and begin pressing down on the grounds, pressing out the last remains of brewed coffee. Store your cold brew in the refrigerator to keep cool and enjoy over ice! Feel free to add cream or sugar to your liking. The coffee has a lifespan of anywhere from two to three weeks before it begins to compromise on flavor. 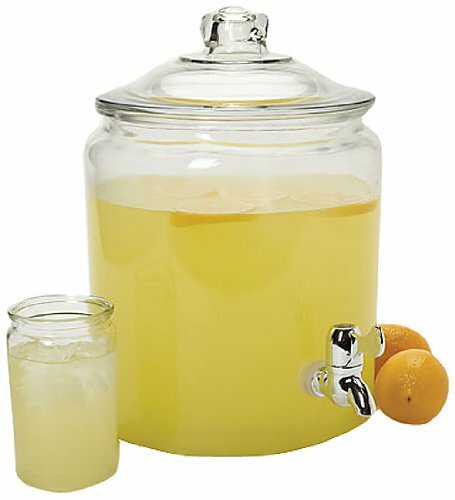 Put your cold brew in this type of container, store in the refrigerator and have easy and quick access to your coffee! One method to keep your cold brew from being diluted when serving over ice is to freeze left over coffee in an ice try. Use the frozen coffee ice cubes in your cold brew cup to keep it tasty.